Confused about conflicting dieting advice and have tried multiple diets with little success. Turning to foods during emotional times, such as: stress, sadness, loneliness, boredom, frustration and more. Unable to determine your body's hunger signals and eating just because "it's time to eat" or because "there's nothing else to do." Eating out multiple times a week because you don't know what to cook at home, feel like there's not enough time to cook, or you're too tired to cook. Despising going to the grocery store several times a week and would like to go less (how does twice a month sound?). Struggling with motivation to stick with your goals, a change in diet or an exercise routine. Setting the same get healthy goals every year, only to give up on them after a couple of weeks. The program is comprehensive, including some of the most researched, science based strategies for overcoming problematic eating issues, changing behaviors and developing life-long healthy habits. Many individuals have invested hundreds of dollars in trying multiple diet plans and numerous workout strategies, only to end up right where they started - feeling FRUSTRATED, DISAPPOINTED and DEFEATED. I often tell my clients, it's probably not the diet plan or the workout routine that hasn't worked, but perhaps your ability to stick with these plans for the long-haul. Be honest with yourself and ask if you really GAVE IT YOUR ALL before you gave up? If not, what went wrong? What was the reason(s) you weren't able to finish the program? Was it too strict? Did you get bored with the food choices? You couldn't give up your carbs? The workouts were too hard? The plan was too long? Research has found most people trying to make changes to their health, weight or diet, need to refocus their energy on developing a different mindset, rather than the food or exercise. I often tell my clients, motivation is a myth. It's more about organizing your life and your thoughts into a way that makes transition and adapting new habits as easy as possible. That's what the Healthy Eating Basics Bootcamp is designed to do! This program is PACKED with all the strategies you need towards making changes in your health journey. 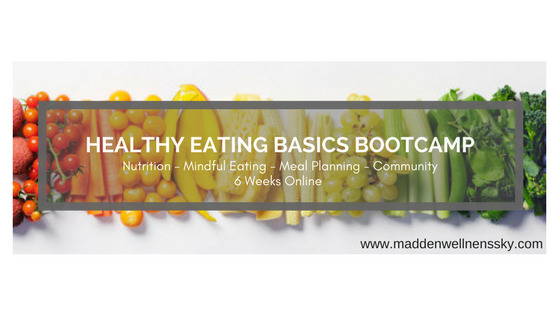 We'll be covering mindful eating, goal-setting, nutrition basics, grocery shopping, meal planning, emotional eating, and TONS of healthy tips along the way. 5 LIVE presentations hosted by myself on the topics of Nutrition Basics, SMART Goal Setting, The Games Grocery Stores Play, Stress-Free Meal Planning and Mindful Eating vs. Emotional Eating. 5 Pre-Recorded videos where I chat with you about: Grocery Haul -Exactly What I Buy at the Store, My Favorite Healthy Living Products, My Meal Planning Routine, What I Eating in a Day and A Guided Grocery Store Tour. In depth lesson plans emailed straight to your Inbox weekly. Homework assignments and handouts to help you in implementing the program's lessons into your own life. A weekly Action Challenge in which you will be able to incorporate lessons from the program into your own life, while also joining in community support for the challenge through the FB community. A Tracking Sheeting so you can monitor and track your progress. 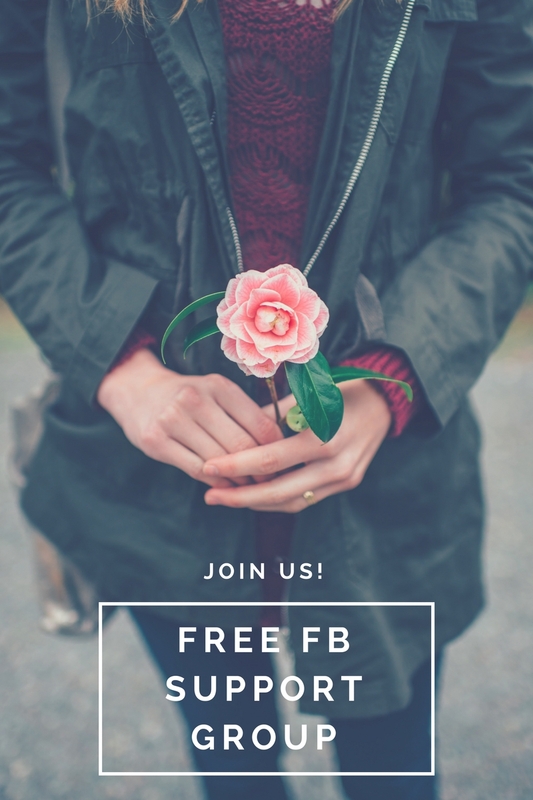 A super secret Facebook group in which you and all the other participants can share ideas, motivation and share progress on weekly challenges. A weekly Q & A session with myself to answer any questions or concerns you have about the program material, as well as any help you may need in implementing your goals. Tons of great BONUSES, including: Weekly prize drawings, FREE download of 25 Healthy Hacks from an ED Expert, discounts from loved brands, such as Reebok and Iherb, 1 week free trial of the Madden Wellness Membership and anything else I can think to throw in there along the way! Space for the program is limited. You can signup now for the Early Bird discount through February 28th. After that deadline, the price increases. The program begins in March (exact time/dates TBD). I will leave you with an Intro Video I made about last Summer's program. Please keep in mind this video also contains previous pricing that was only available for the first group and is NOT the current price. I wanted to share the video in hopes that maybe it can answer any questions you might have, as the content of the program will be close to the same. If you have any other questions about the program, please contact me and I would be glad to answer!